China’s financial meltdown continues, but you wouldn’t know it from Chinese media. 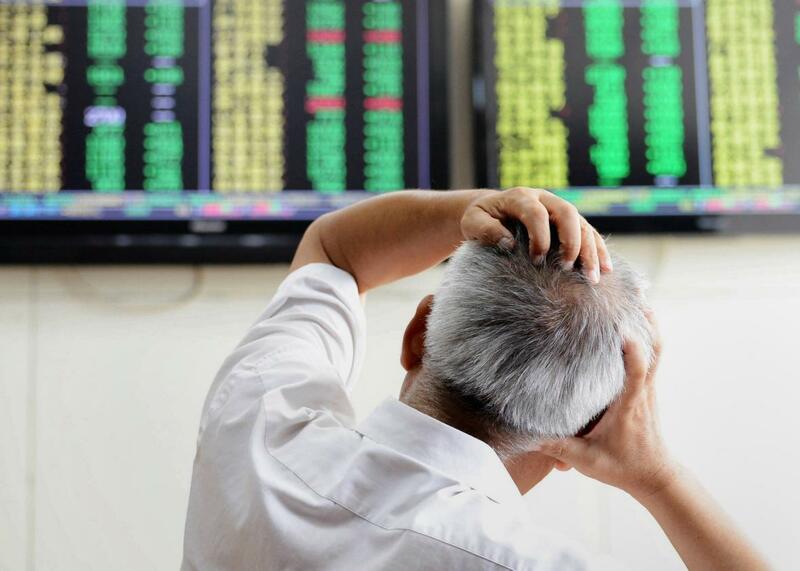 An investor looks at screens showing share prices at a securities firm in Qingdao, China, on Aug. 25, 2015. The Shanghai Composite index fell yet again today, despite China’s central bank cutting interest rates in an attempt to calm the markets after three days of turmoil. But if you’re looking for the latest developments, Chinese media does not have them for you. As the New York Times’ Christopher Buckley notes, the financial panic didn’t make Tuesday’s print edition of the People’s Daily, the official newspaper of the Communist Party, which focused instead on preparations for the upcoming commemoration of Japan’s defeat in World War II. The country’s TV broadcasts have skipped the news as well. The English-language edition of state-run newswire Xinhua touched on the fall in the markets, but only in the fifth paragraph of an article on the central bank’s recent moves to restore confidence. The Chinese media’s silence is particularly conspicuous considering that less than a year ago Xinhua and the People’s Daily were running editorials encouraging the public to invest in the stock market. Many of those investors, including vulnerable pensioners, have watched their savings evaporate this week, and frustrations are running high. In a possible sign of things to come, hundreds of investors, organized via social media, carried out a vigilante raid on a luxury hotel in Shanghai this week, capturing the head of a metals exchange they accused of cheating them and delivering him to the authorities. With the government seemingly powerless to calm the markets, Chinese authorities also seem to be looking for someone to scapegoat. A researcher at the Central Bank attempted blamed the U.S., suggesting to Xinhua that expectations that the U.S. Federal Reserve would soon raise interest rates were the reason for the turmoil. (See this excellent explainer by my colleagues Ali Griswold and Jordan Weissmann for why that is and isn’t true.) Analysts are also suggesting that Prime Minister Li Keqiang may take the fall. * What is certain is that the government can’t simply keep a lid on what’s happening indefinitely. *Correction, Aug. 26, 2015: This post originally misidentified Chinese financial magazine Caijing as Caixin. It also misspelled Chinese Prime Minister Li Keqiang’s family name.